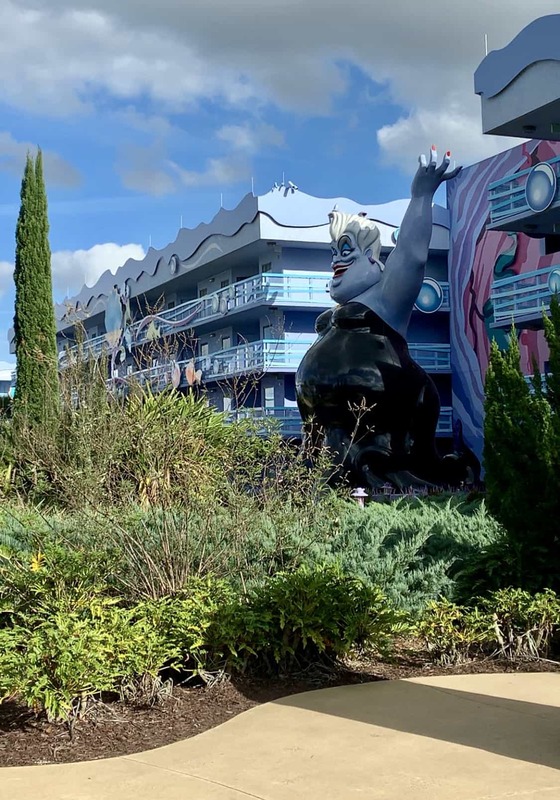 Today, I am going to give you the 9 reasons to stay at Disney World’s Art of Animation Resort. 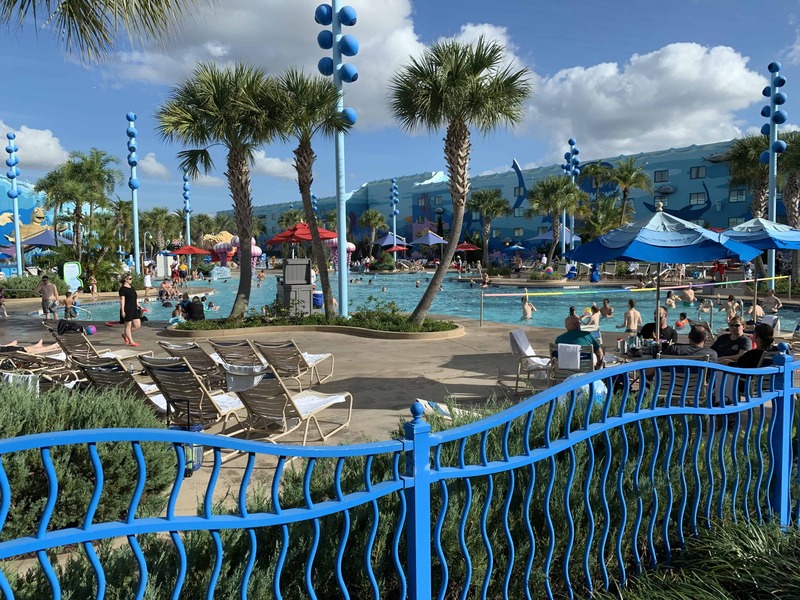 There are so many perks with staying a resort especially when vacationing to Disney World and I am going to give you the top nine. 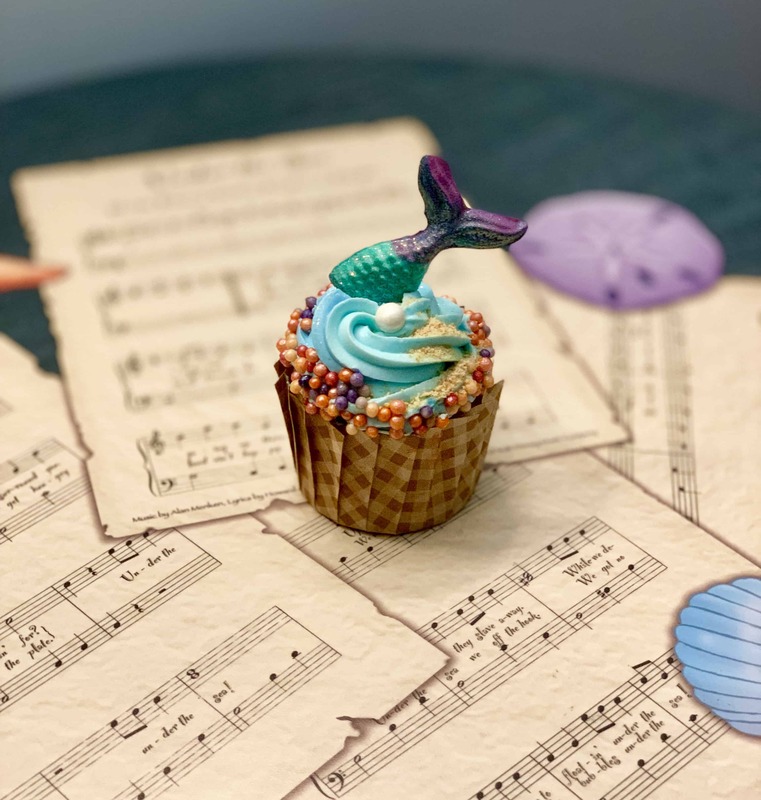 Additionally, if you are looking for food recommendations while visiting the Disney parks and properties, check out our blog post on Best Eats in Disney World. We love to give praise where praise is due. The folks working the front desk went above and beyond, and I have to share it with you. The night before our daughter’s 21st birthday, Bryan ran by the desk to see if they could do a little something special to wish her a happy and magical birthday. The following morning we woke up to a knock on the door from a cast member. He had brought birthday GIFTS to our room. 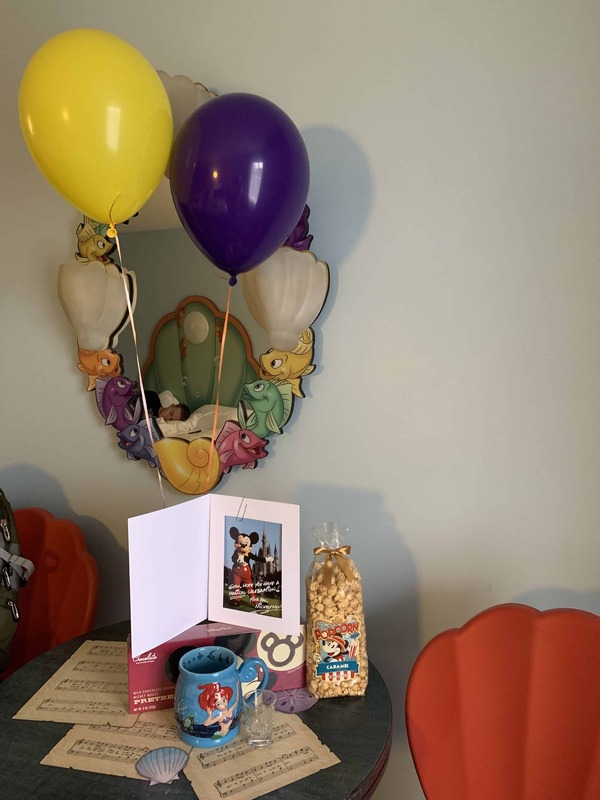 A card, balloon, candy, popcorn, an Ariel mug (we were staying in The Little Mermaid room), and….get this, a Disney castle shot glass. 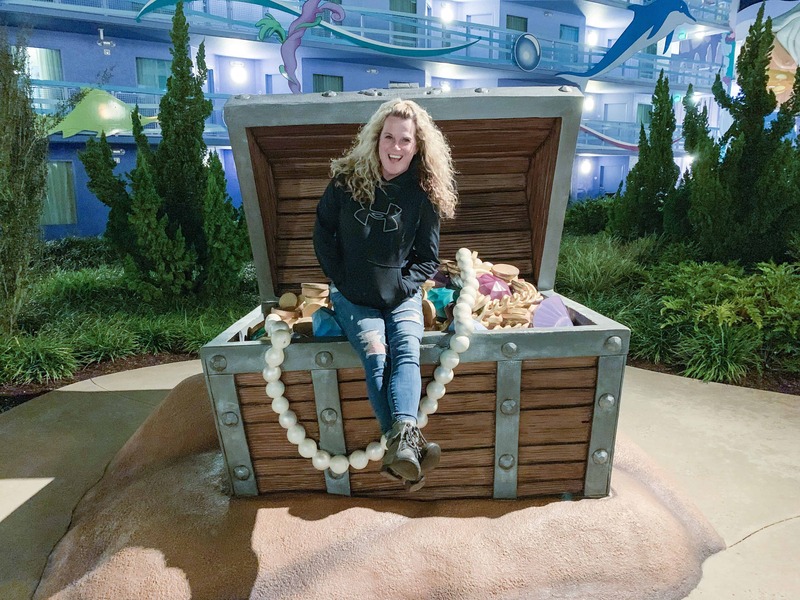 Art of Animation Resort, you were too good to us. Thank you for the amazing customer service. The grounds and decor of the property are so much fun! Giant, over-the-top characters are everywhere you look. 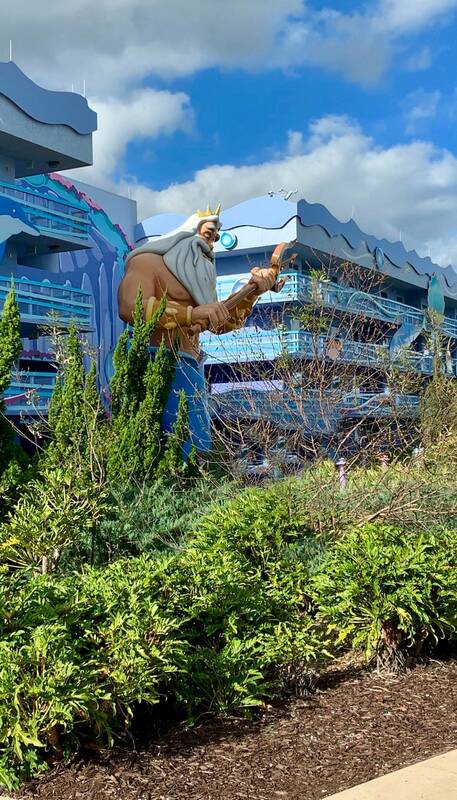 Whether you’re a fan of The Little Mermaid, Cars, Finding Nemo, or The Lion King, you’ll be sure to be wowed by the amount of detail that went into creating this property. There are trees and bushes throughout the resort, yet you could hardly find a leaf on the ground. The groundskeepers had the entire area looking immaculate! Bottom line. The room is small, BUT, it has everything you need. We spent 10-12 hours at the parks, so we just needed a place to sleep. The beds are comfortable and the room was very clean. One thing we loved about the design of the room is that the bathroom sink/counter is outside the bathroom. They have a curtain you can close, so multiple people can get ready at the same time without hogging up the bathroom. Lastly, we HAVE to have white noise at night, and when we requested a fan, a cast member showed up minutes later with a box fan. Life saver! We only ate at the restaurant one night. We grabbed a full pizza, some cupcakes, and headed to the room. What we did have was very good! Especially this cupcake! Y’all! We went back and bought it again! If you’re not on site, it’s worth taking a Disney bus to Art of Animation just to grab one of these. Plus, if you have a mermaid fan in the family, it’s a must, right? We did not get the refillable mugs, but almost everyone we saw had them. They’re $18.99, and you get refill from the Coke machines (via RFID reader on the bottom of the mug that activates the Coke machine) as often as you’d like. Our only critique: The restaurant is SO far from some of the rooms. Like, it’s a hike. Although we didn’t swim, I thought I’d let you know about the pools. There are three total. One large one and two smaller ones. The large pool plays movies at night on a jumbo screen, and it was so cute! We did notice that they are updating the pool, so renovations are happening soon. The Disney buses are insanely efficient! I was impressed by how fluid the system ran to get from resort to park, park to park, or to different resorts. You can even access the bus arrival times from your My Disney Experience app. It’s like clockwork. We never waited too long for a bus, and we visited during high crowd time. Most of you probably know this, but in case you don’t know, here’s a helpful hint. 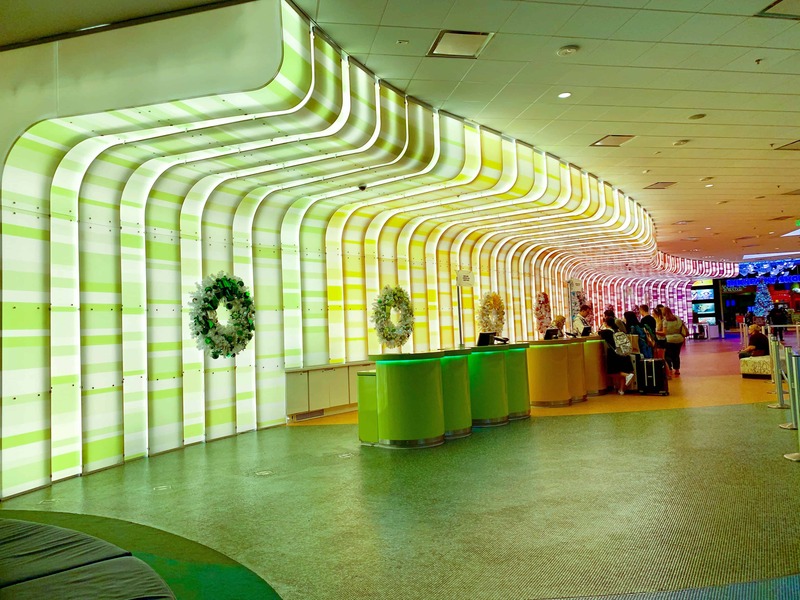 Staying at any Disney Resort allows you to benefit from the Extra Magic Hours. Those extra hours at the park are worth staying on site. 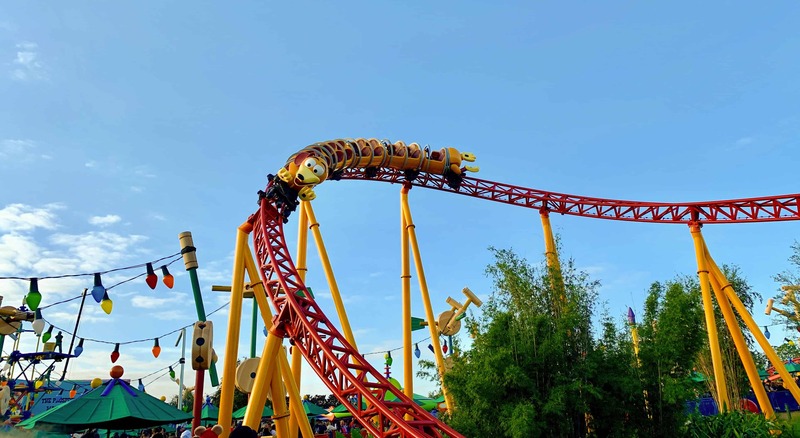 We were able to avoid some lines before the crowds rushed in, and stay later to ride rides without the longer waits. Such a HUGE perk! Some might be wondering how the parks know that you’re staying at a resort and gain access to those extra magic hours. Well, here comes the Magic Bands. These things are literally like magic, and you get them with a on-site resort reservation. Here are a few things these do: 1) They are your room key! 2) You use them to pay for everything at the resort, the parks, and even Disney Springs. 3)They store your fast passes. When your fast pass time is up, you simply scan your band and it shows that you are eligible for that ride at that time. 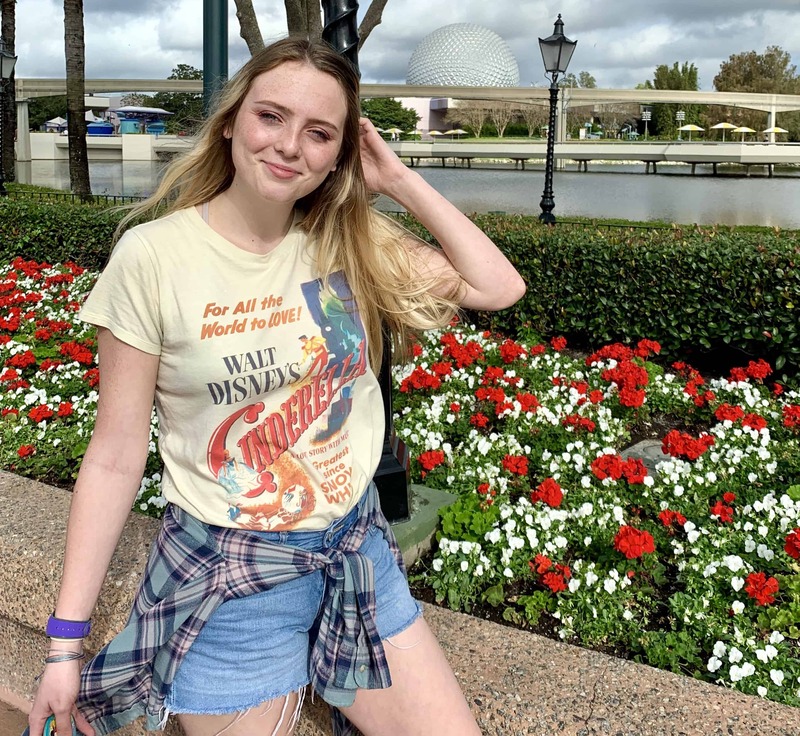 4) During the extra magic hours, the bands allow the cast members to know who is staying at the resort so they can enter the parks or ride rides (if it’s later at night). Bryan jokes that he wants our house run on magic bands. He was beyond impressed! Our last perk we’re sharing is about the FastPass Plus. When staying at a Disney Resort, you’re able to book your FastPasses 60 days in advance! That’s 30 days before anyone else can. Since we visited Disney World during a high crowd time, the early access to these fast passes were invaluable! Rides that had a three to four hour wait (yes…the Avatar Flight of Passage had a four hour wait at one point), we were able to just walk right up and enter. I could argue that the early access to the FastPasses are worth it alone to stay at a Disney Resort. 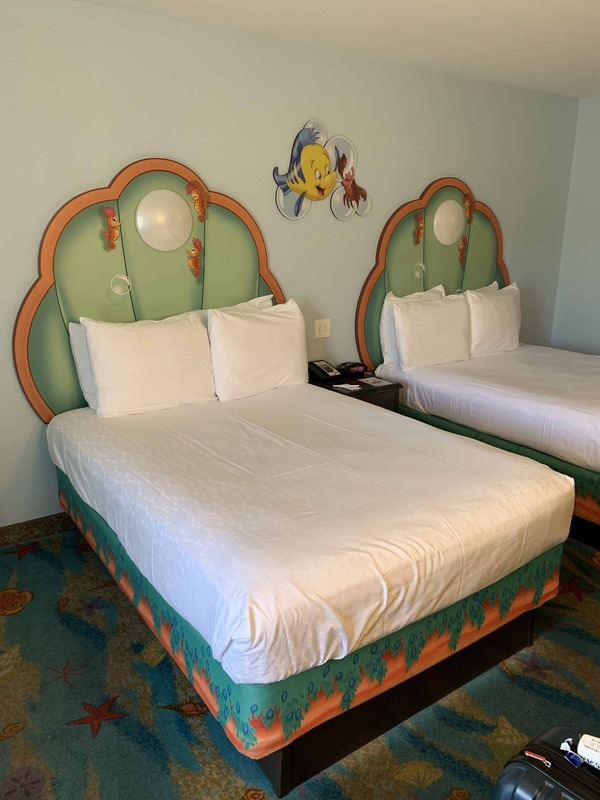 This was our first time staying at a Disney Resort, and to be honest, I’m not sure we’ll be able to NOT stay at one again. 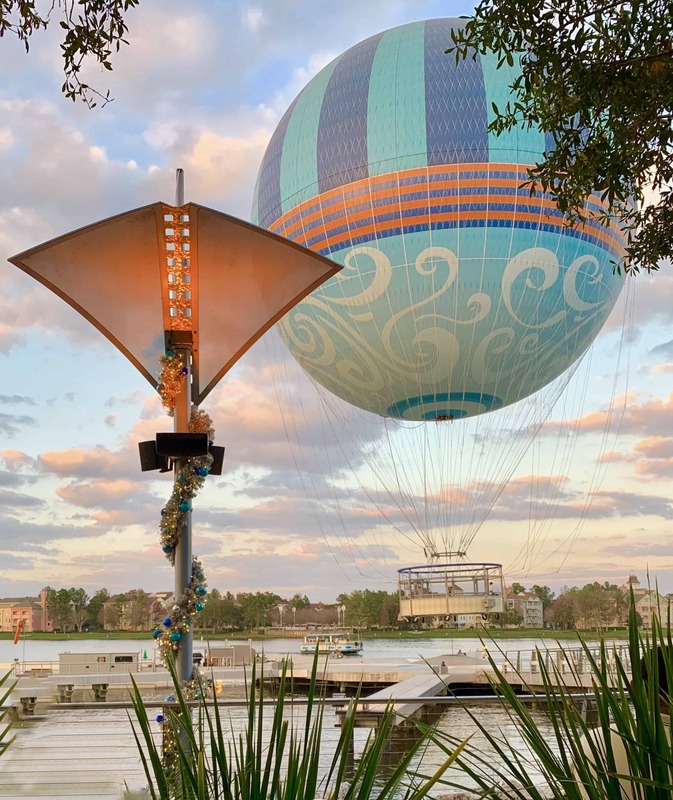 The perks, the accessibility to the parks and other resorts, and the extended magic of Disney are a few reasons we’ll stay at Disney properties in the future! Are you excited yet?! If not, check out these photos to help with motivation. I highly recommend it! Overall, I was really impressed! Let me know if you have any questions. 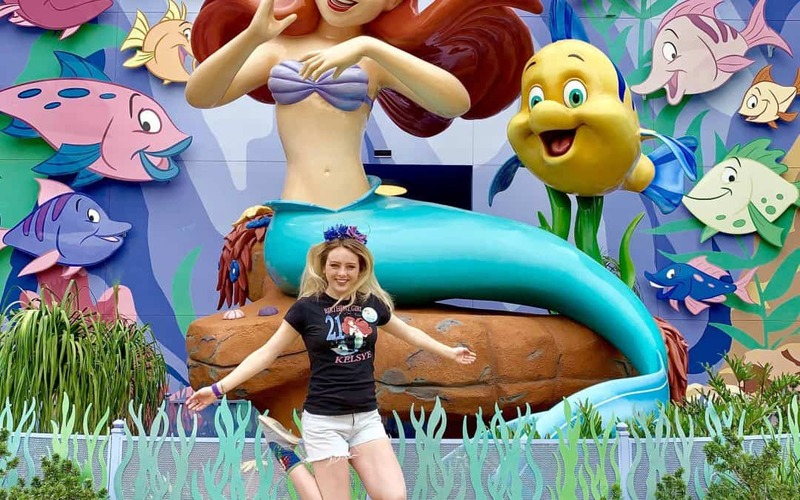 I’ve heard such good things about the Art of Animation Resort! 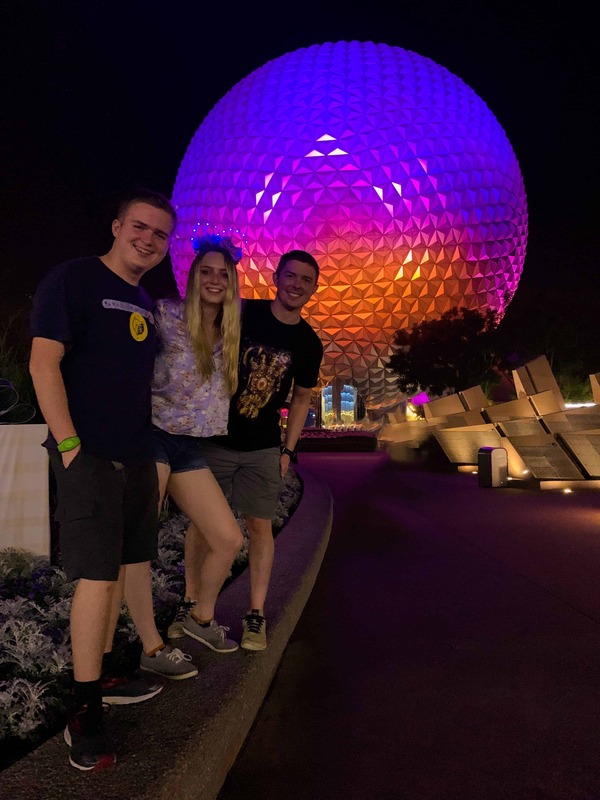 Looks like y’all had an amazing time there and Epcot looked like my cup of tea — you’ll have to do another post for tips there! This looks like a resort my little one would love! Oh, she would LOVE this place!